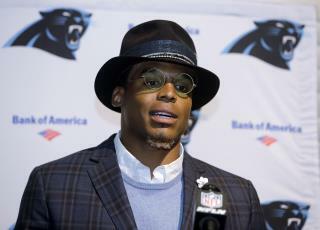 (Newser) – Having now received an apology from Cam Newton, Charlotte Observer reporter Jourdan Rodrigue has had to issue one of her own. The reporter, who covers the Carolina Panthers and was involved in what some called a sexist exchange with the quarterback during a press conference Wednesday, says she is "deeply sorry" after Black Sports Online discovered years-old racist tweets on her Twitter account. A racial slur was used in one May 2013 tweet, while two others described her enjoying racist jokes, reports USA Today. "My dad is being super racist as we pass through Navajo land," she tweeted in December 2012. Then, the following August, "He's the best. Racist jokes the whole drive home," the tweets read. Unfortunately, Cam said out loud what many other athletes have just kept to themselves! Just another crybaby feminist. Every football player is not a Rhodes scholar or an Amy Vanderbilt gentleman. If women want to be masculine, and do men's work such as construction worker, police officer, firefighter, or sports reporter, then they better grow some thick skin, and stop whining every time someone makes a comment they don't like. Newton did nothing wrong. He has a right to his opinion.